The Sartorius Moisture Meter MA family are designed for moisture analysis in daily and routine laboratory applications in research and development as well as quality and process control. The Sartorius Moisture Meter MA family offers a broad performance range of moisture meters, from the user friendly basic model to the high end moisture analyzer with the greatest possible measuring accuracy a thermogravimetric moisture meter can currently offer. 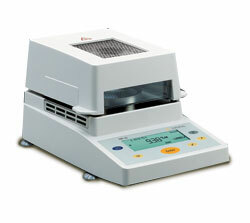 This Sartorius Moisture Meter MA infrared dryer, MA35, is the basic moisture meter series from Sartorius. Its performance range, designed for routine daily operation in in-process control, defines moisture analysis made easy. This Sartorius Moisture Meter MA is an extremely popular moisture meter. One of the reasons for this is that most of the moisture meters on the market today use halogen bulbs, which can easily burn out and need to be replaced. This Sartorius Moisture Meter MA uses metal tubular heating elements, which have a much longer life span than halogen bulbs, being much more durable and can usually last the lifetime of the instrument. Torbal Professional Moisture Analyzers (AGS PRO) are designed to deliver exceptional accuracy (0.01%), paired with 250W of drying power, up to 250⁰C. AGS Pro Moisture Analyzers feature 0.001g readability and are built with high-quality materials to maintain resistance against the most challenging environments. These analyzers feature the technology and equipment necessary to tackle even the most daunting moisture measurements. AGS Series Moisture Analyzers are built with Torbal’s electromagnetic load-cell, allowing the analyzers to accurately measure to 0.01%. Analyzers are also equipped with the capability to dry at temperatures up to 250⁰. The AGS60 model allows users to work with samples up to 60 grams and the AGS120 model extends that capacity up to 120 grams. Torbal designed the AGS Series Moisture Analyzers for heavy duty work. 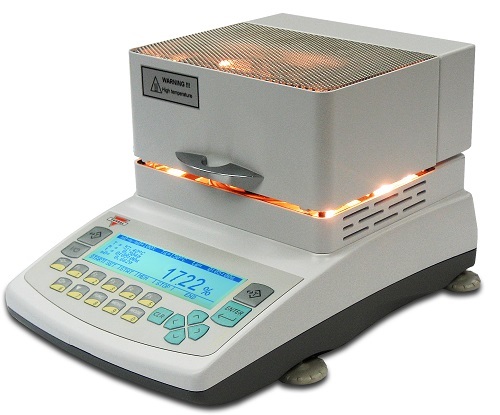 Analyzers are capable of a maximum drying time of 10 hours. They are also equipped with a spacious heavy duty drying chamber to maximize efficiency. Furthermore, the housing is made of rugged metal, ideal for heavy usage in the most challenging environments.